We're years behind the times here at Coloring Without Borders, but finally have added an "About" page and a "Travels" page. 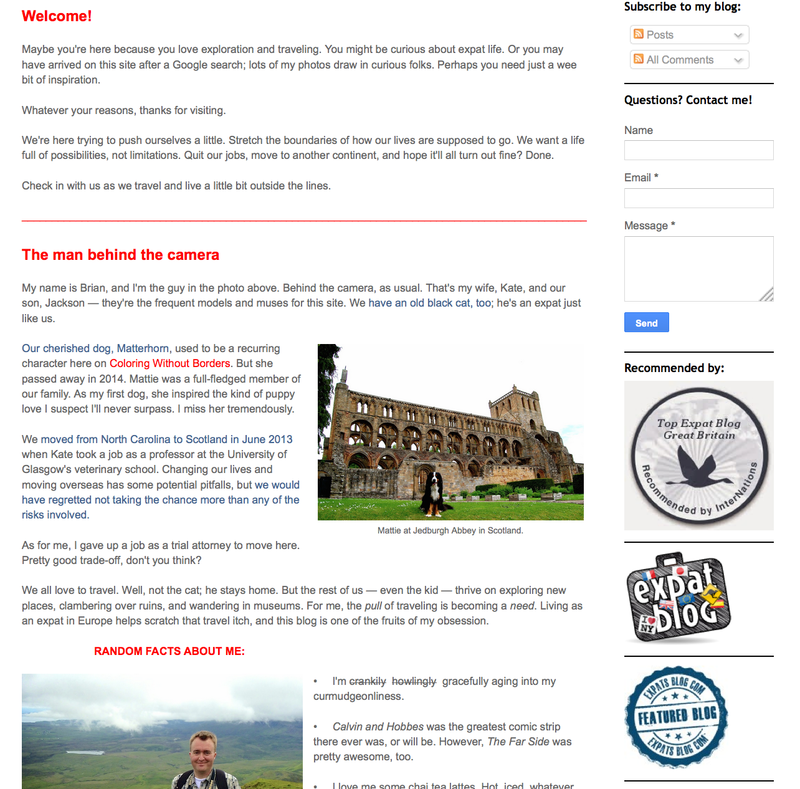 The styling of the blog will undergo an overhaul in the next few months. Meanwhile, new bits and pieces will pop up from time to time. Several more pages are in the works. A screenshot of the new "About" page. I'd love some feedback on the new pages. Anything that needs fixing? Improvements? Likes and dislikes? I'm open to making more changes. 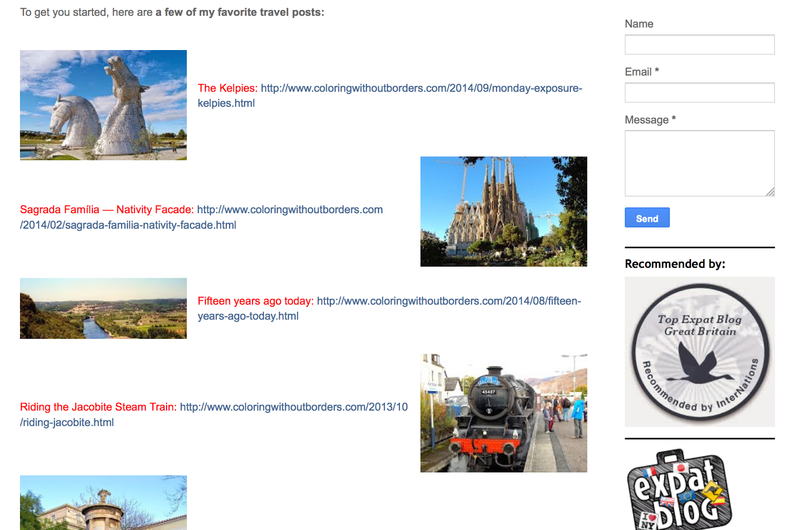 A screenshot of the new "Travels" page.